Continuing our small spaces series today, we offer tips for the very smallest rooms of all: The bathroom and the closet. From washroom accessories to a build-your-own closet, we've put together eight great solutions for your small bathroom and wardrobe needs. Add a splash of style to your walls with this configurable wood valet Clip Tree, kitted out with clip-on rubber hooks, shelves, and widgets. Perfect for holding a variety of your bathing room necessities. Organization is key in a small bathroom. The fact that the red, black, chartreuse, or blue Shower Caddy Octopus carries up to nine shower accoutrements to keep everything nice and tidy makes it a winning design. For when there just isn't storage space to hide away certain water closet accessories, designer Josh Owen created the WC Line. Made from silicone and tanoak wood, this three-piece set includes a wastebasket, plunger, and toilet brush. It's available in black, white, red, blue, and orange. In a small bathroom, storage can be limited and sometimes there are no cabinets at all. With its different-sized and shaped containers and metal hooks and clips, Uten.Silo by Vitra is perfect for all your wall-mounted organizing needs. These small-closet-friendly, loopy Hangers & Footwear Mats are more than just cute: Unlike ordinary hangers, they allow you to organize scarves and gloves, too. Constructed from lightweight Russian cherry plywood in a trim profile. Many small studios and loft spaces don't have room for closets at all. 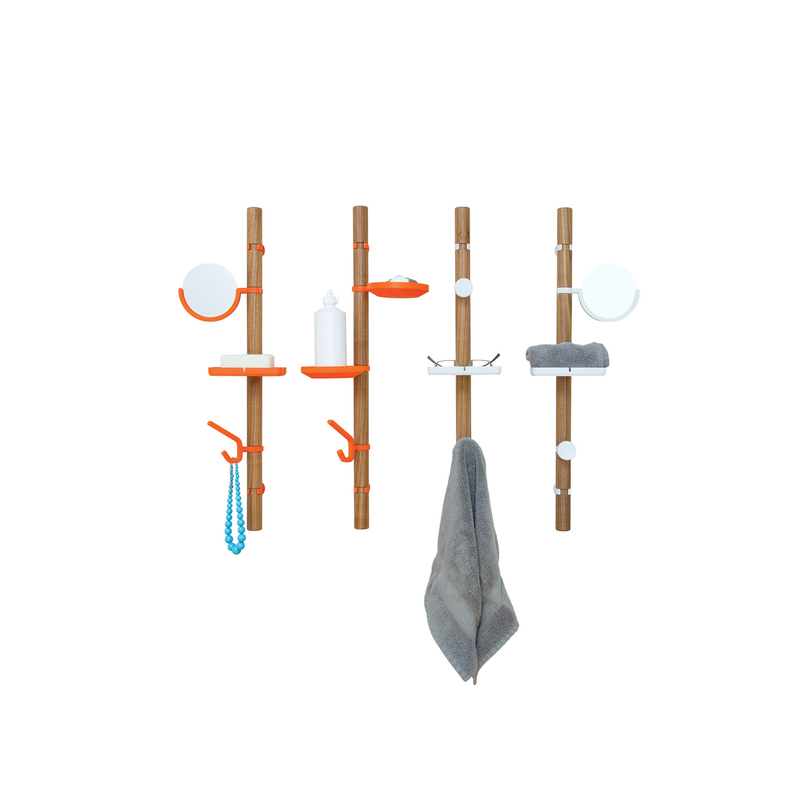 The Tati Coatrack epitomizes how Swedes design best: Form meets function with the help of quality materials—in this case, metal frame, stone base, and brass details. Peg Rail 6' Classic Closet A If you have a 6-foot wall, the Peg Rail 6' Classic Closet combines multiple parts to make an organized and functional closet where none existed before, (although you will have keep it presentable at all times). If keeping tidy all the time seems too tedious, the A Symmetric Closet from CB2 features many amenities such as a full-length mirror, three hanging metal hooks and a removable closet rod, all hidden away behind closed doors.